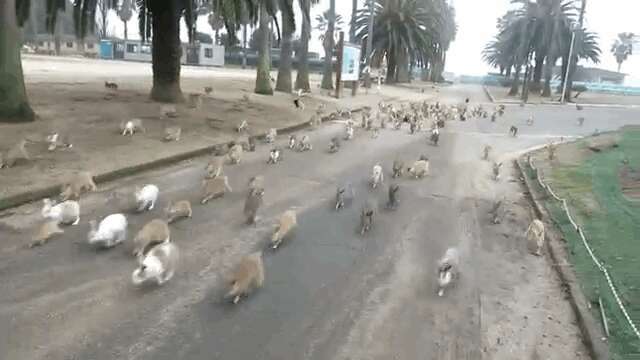 The Story Behind The Bunnies Of Japan's "Bunny Island"
The famed Japanese island of Okunoshima, perhaps better known as "Bunny Island," has made its way back into the news again following the release of a video that shows a woman being chased by a horde of tourist-loving rabbits. 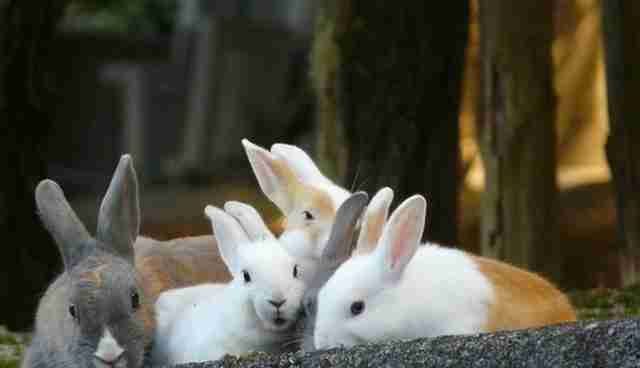 The island has become a tourist attraction in recent years for its two major draws: the hundreds and hundreds of freely roaming wild rabbits, which inhabit every corner of the tiny isle, and its wartime history -- as the site of Japan's poison gas production operations. 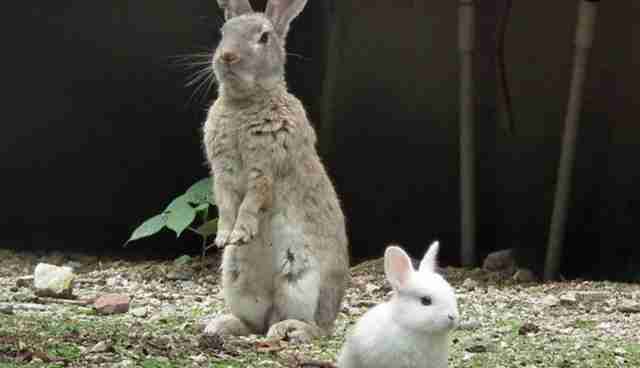 While it's widely accepted that rabbits were used for chemical weapons testing on the island during World War II, there's no proof that those test subjects were the ancestors of today's furry Okunoshima inhabitants. 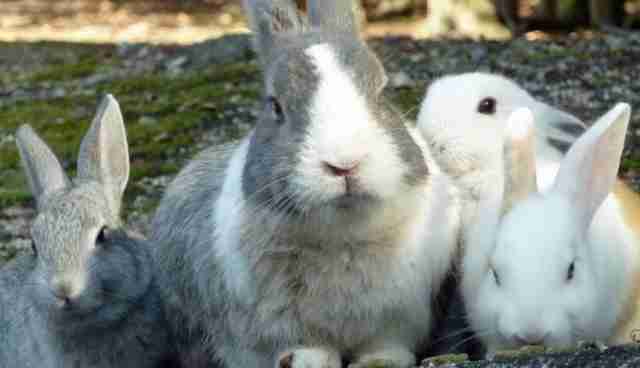 According to Ellis Krauss, professor of Japanese politics at the University of California San Diego, it's highly unlikely that the two generations of rabbits are related. "The rabbits are not descendants used in chemical weapons tested during the war," Krauss said. "The test rabbits were all euthanized by the Americans when they came to the island during the Occupation... about 200 of the poor things were being [used] in experiments by the Japanese." Although nobody can say definitively how the current rabbits came to dominate Okunoshima, Krauss explained, there are a few possibilities. "I've heard a British couple came and released a couple, but also heard other tourists came -- maybe school kids," he said. "There's a possibility that someone who wanted to give the island some tourist appeal did. I'm not sure anyone knows for sure." 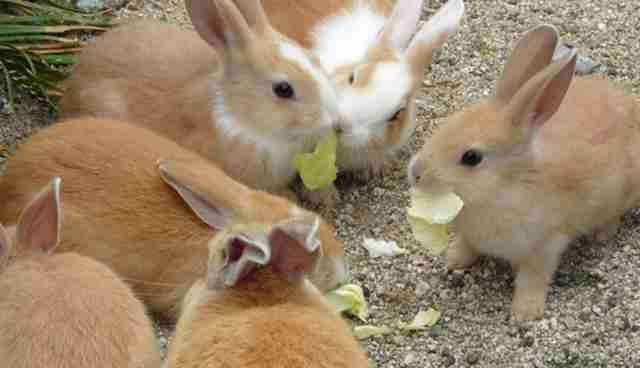 About 700 bunnies leap around the tiny island greeting and receiving snacks from visitors, who are encouraged to feed the animals. 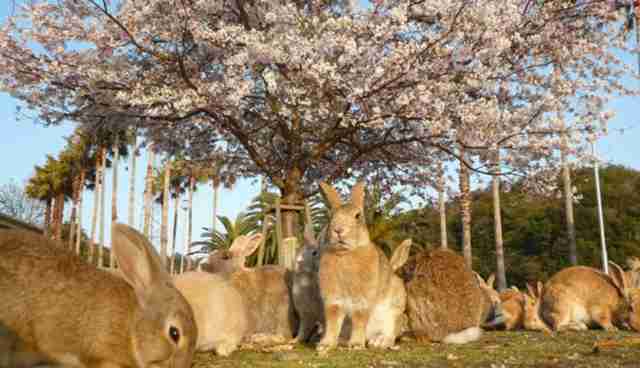 Given the lack of predators and rabbits' proclivity for breeding, well, like rabbits, it shouldn't be surprising that so many have managed to survive on this mysterious Japanese bunny enclave. 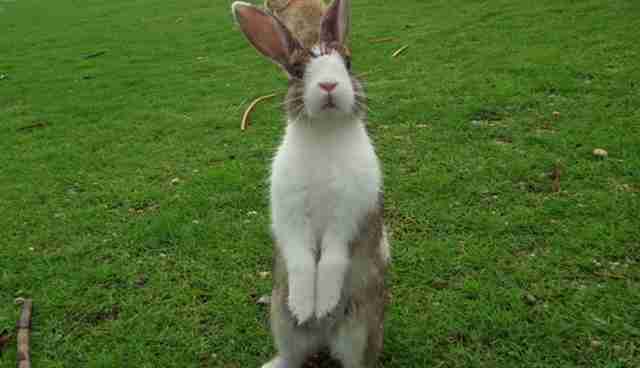 But, Krauss explained, the rabbits might not have become so numerous without humans' help. "The interesting thing about the bunnies is that the groundwater -- and some of the soil -- is still so toxic from the chemical weapons stored there during and before the war, that humans can't drink it," Krauss said. "All water is bottled water imported to the island for humans -- and then people put out water for the rabbits around the island as well."